The score tied late in this April 1994 game, Jim Waggoner tried to get something going. He did so with a home run, breaking that tie and sending his AA Huntsville Stars on to a win, according to The Orlando Sentinel. Waggoner hit that home run to start his sixth season as a pro. He went on to be credited with a decade in the game. He recorded just a single game at AAA and never got higher. 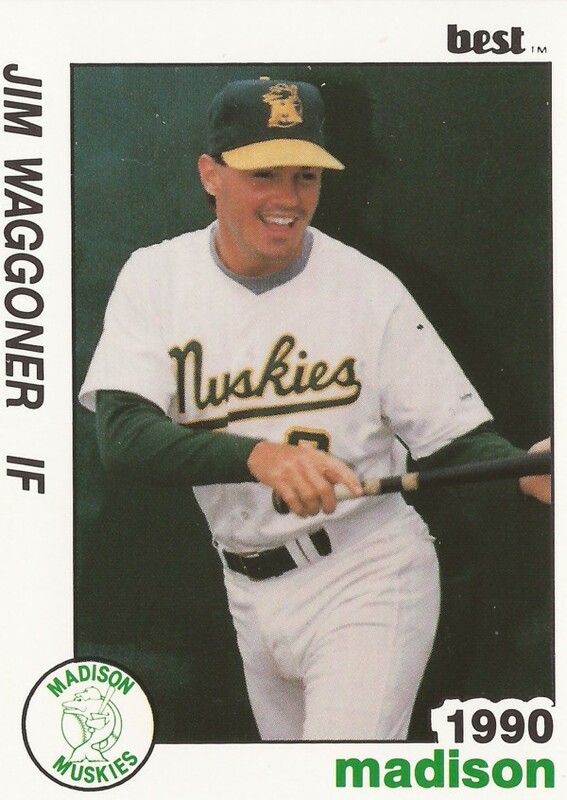 Waggoner's career began in 1989, taken by the Athletics in the 44th round of the draft out of Austin Peay University. At Austin Peay, Waggoner hit two home runs in three days in April 1989, a two-run home run in one and a solo shot in the other. Overall in his two years there, Waggoner came in with a .335 batting average. With the Athletics, Waggoner played his first year at short-season Southern Oregon. He hit .270 in 54 games. The infielder then played between single-A Madison and high-A Modesto in 1990, hitting .210 between them. He returned to Modesto for 1991, ending with a .224 average and two home runs. He also got an appearance at AAA Tacoma. After a season with high-A Reno, where he hit a career-high 11 home runs, Waggoner played the next three seasons at AA Huntsville. He didn't hit higher than .208 there. In 1995, Waggoner retired mid-season. In his last game before announcing his retirement, Waggoner went out with a good one. He picked up three RBIs, two of them on a double. Waggoner, though, is credited with coming out of retirement for three more seasons in independent ball. His final season came in 1998 with independent Newark.